When planning our summer break, I was certain that we had to do an activity break. My children don't do museum very well and needed something energetic that would expend their energies. 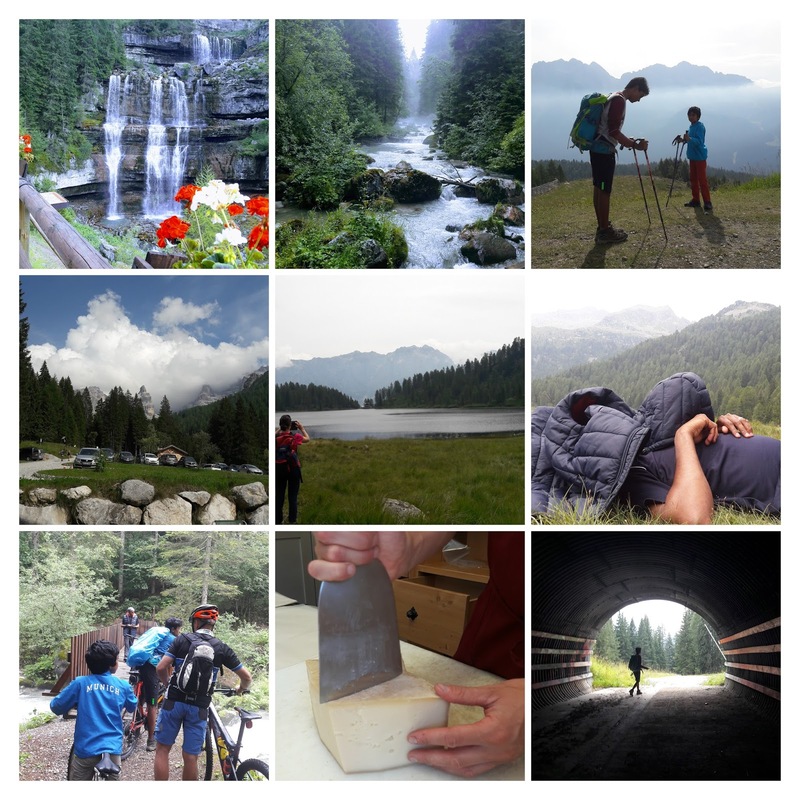 And our six day break in the Dolomites was precisely that. We hiked, biked, rafted and canoed and came home spent but refreshed. Madonna Di Campliglio is a mere 4.5 hour drive away from here and we were greeted to some breathtaking views of the Dolomites on our way there. Madonna is a popular ski resort and in summer, its slopes offer spectacular hiking routes. We hiked on three days, each day averaging sixteen kilometres. We were part of a large and diverse group which included kids as young as five and several septuagenarians. The pace was leisurely and the stops aplenty. Every now and then the guides would stop to say something about the mountains (almost always in Italian) but their narration was redundant as the mountain were spectacular and needed little by way of explanation. Seeing as we were not due to leave until late Saturday afternoon, I asked to be put in touch with a cycle guide and local sculptor Nicola Cozzio who works as a mountain guide in the summer expertly took us around some of the stunning routes in the region. I would be lying if I said that the steep climbs and the staggeringly treacherous downhill rides were easy but it was exhilarating nonetheless. We stayed at the Savoia in Madonna Di Campiglio on a half-board basis. And booked our trip through Activity Breaks.